In the context of this exhibition, the author of this work - Herbie Fletcher - is known to the audience as an eloquent innovator of surf style. He is also my friend. That does not affect my appreciation of the sculptural works that he's been making over the past years. Herbie is an accumulator and presenter of stuff. The fragments of boards that comprise these works that he calls, "Wrecktangles" tell the story of the culture whose logos are brandished on these broken accidents, adventures, and rudimentary failures embodying the whole that I find in this work very complete. It doesn't matter whose surboard they happen to be; it's nice if it means something to Herbie, but that's not the meaning of the scupltures. He shares an iconoclastic purposefulness which other artists like Chris Burden and Bruce Conner share. 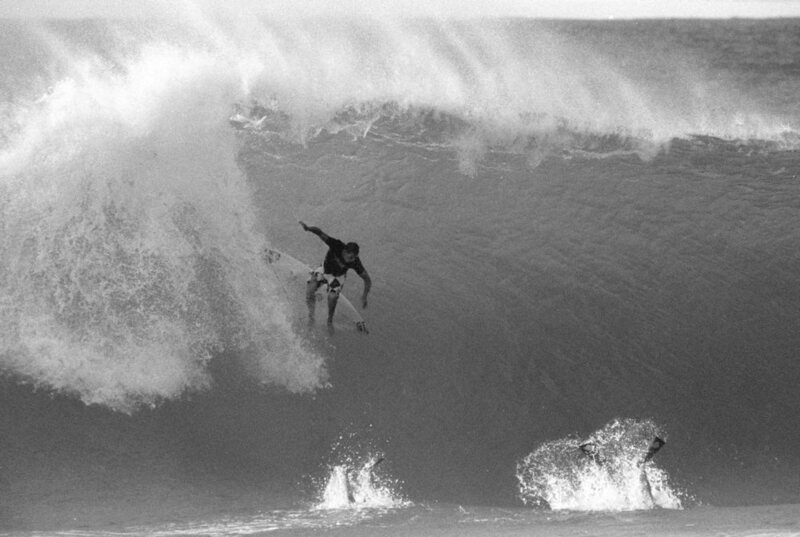 From the once perfect flying machine the surfers paddle, scratch, kick, thrust themselves into position to drop, free fall, into the giant thundering, barreling tubes of the Banzai pipeline to be one of the rare breed known as a wave warrior. There is evidence of the battle between these unique, brash, brazen, young turks and the they're about to conquer. Collected and assembled they tell a story that is at once individual and collective about a group of young vagabonds who live from swell to swell for the thrill of the next heart pounding, blood racing, mind blowing, life altering ride in the green room of the Pipe. These artworks are massive and vital, like the huge waves Herbie was known for pioneering during his fifty-year plus career as a surfer. 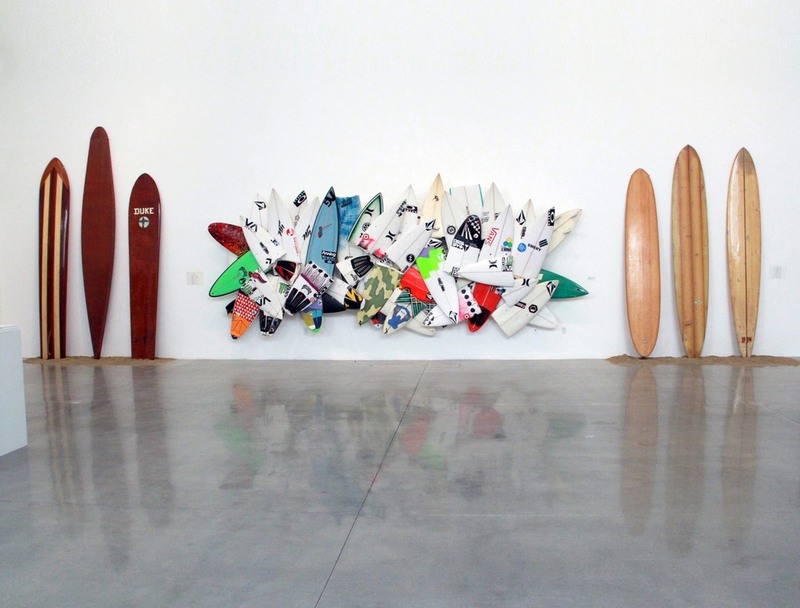 These pieces are made from the wave-munched fragments of broken boards actually used when surfing giant waves. The thunderous force of the ocean is apparent in these jagged and mishapen “Wrecktangles”, but perhaps the most eye-catching component is the various decals, traction pads, fins or logos that show both the personalization of each board and the sponsorship and awards circuits of pro surfing. The combination of the odd formal geometries of a late Frank Stella with the pop cacophony of logos and images, makes for a very interesting work of art that is charged with energy and life.